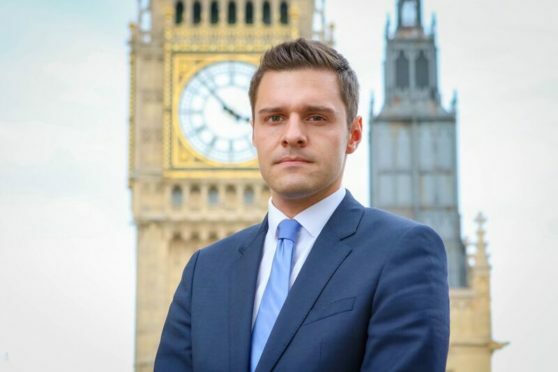 Aberdeen South MP Ross Thomson has taken to social media to explain his reasons behind voting for Theresa May’s Brexit deal today. He said twice he has voted against the prime minister’s deal as he had many concerns, in particular with the backstop. But after a “lot of thought, wrestling with my conscience and talking to good friends and colleagues I have reluctantly decided to vote for the deal today”. “The backstop is there for a political end. If agreement on the UK’s future relationship with the EU cannot be reached then the backstop kicks in. Therefore the next stage of negotiations is even more important. “Given there won’t be legal changes to the backstop the one change is the PM committing that she will not negotiate the future relationship with the EU. This means a new PM with a new team will negotiate which gives me more confidence that we will avoid being in the backstop. ” Further we will have a new leader and Prime Minister who will have the confidence, nerve and political will to ensure that if we ever did find ourselves in the backstop then there is no way that they will allow the EU to keep a sovereign UK in the backstop against its will. “I will never get the changes to the text of the withdrawal agreement that I want but there are wider political changes that now give me more confidence that we can avoid ever being in the backstop. There are other reasons beyond the backstop too. “Voting for the deal today means that we can leave on the 12th April and that we will not have to participate in EU elections. It’s clear that there are numbers in Parliament to thwart Brexit, to have endless extension and to take us into a customs Union. Brexit is at risk. “I have had to weigh up all of the risks in the current context. Politics is the “art of the possible”. Sometimes decisions aren’t about what is right or what is best but about what you can actually get done. That’s the decision facing MPs and it’s time to face reality. Follow our rolling coverage of the Brexit debate here.